FREELAND ABBOTT, DEBORAH ABBOTT’S FATHER AND FRANK ABBOTT’S SON, STANDS AMID AN IMPRESSIVE PATCH OF CONNECTICUT WONDER BEANS, CIRCA 1922. 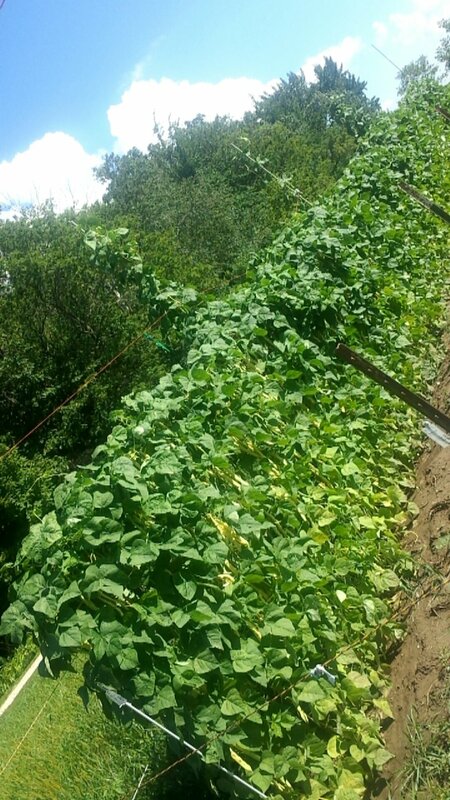 THE CONNECTICUT WONDER BEAN THRIVED at Seed Savers Exchange's HERITAGE FARM in decorah in Summer 2016. A sample of the Connecticut Wonder awaits shipment from Seed Savers Exchange in Decorah back home to the Abbott family in November 2016. Forty years later, one ‘wonder’-ful bean finds its way home through Seed Savers Exchange. On the morning of May 23, 1977, Deborah Abbott of rural New Hampshire pulled out a typewriter, inserted a sheet of paper, set the typewriter’s carriage, and began banging away on its keys. As the years passed, the bees in Deborah’s rural New Hampshire garden proved equally inattentive to boundaries when it came to the Connecticut Wonder. Eventually cross-pollination so contaminated the family’s treasured seed that the tasty climbing variety—likely a cross between the aforementioned Kentucky Wonder Wax and Cranberry Pole beans—was lost to them. Unbeknownst to Deborah, however, the Connecticut Wonder had not been lost to the larger gardening community. 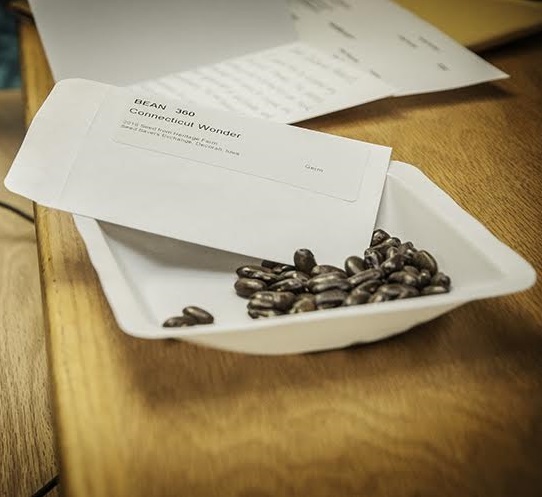 The bean she had so carefully packaged and mailed to John Withee and his Wanigan Associates bean-saving enterprise in 1977 had, in fact, found its way to Seed Savers Exchange when John donated his extensive bean collection to the organization in 1981. But while it had been disseminated across the United States by Seed Savers Exchange members in the years that followed, as of late 2016, the Connecticut Wonder bean had not found its way back home. The Connecticut Wonder bean is just one of more than 20,000 heirloom and open-pollinated seeds preserved in the organization’s seed vault. And while the seed bank is an important part of ensuring agricultural diversity for future generations, it isn’t nearly enough to get the job done. Like Deborah Abbott and her Grandpa Frank before her, you too can play a big role in seed preservation. How? Grow out heirloom varieties in your garden. Save their seeds (using isolation distancing, hand pollination, and other techniques to prevent unwanted cross-pollination). And don’t forget to share your seed story.